Wow, what a lot of beautiful things for one year! Happy New Year Gillian to you and your family. I do hope 2015 brings lots of happiness and some great makes. Good luck with the move and keep us posted with your new surroundings. Take care. Happy New Year and lots of luck with your move. Wishing you a very Happy New Year, Gillian! Thinking of you as you make the big move soon! Wishing you many more happy and creative moments in 2015. 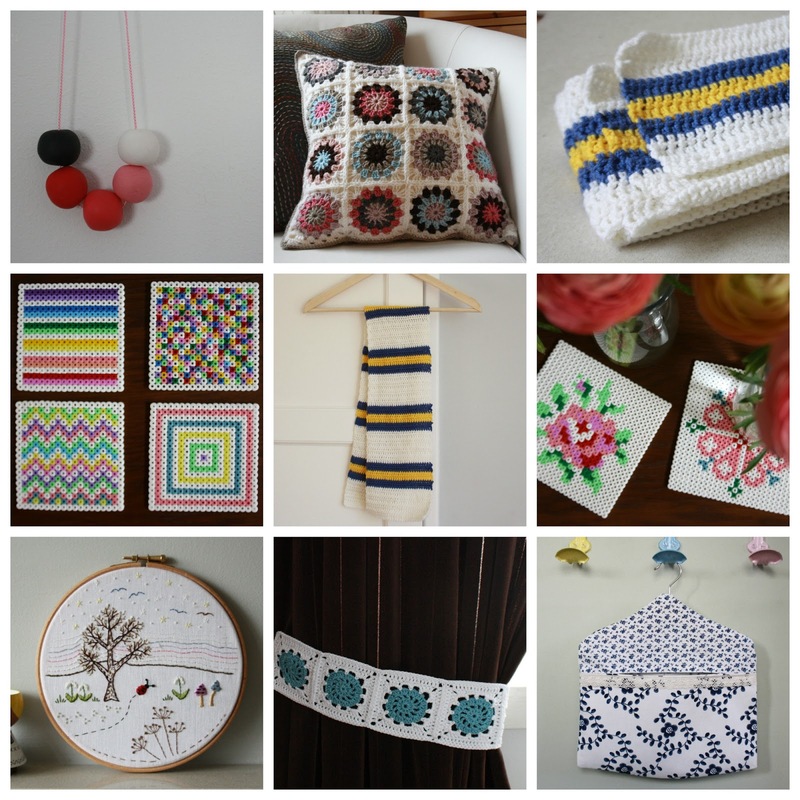 I love the variety of your makes - what next? What a good year! Hope 2015 is just as full; and good luck with the move! Hi Gillian ,what a year !! Wishing you all good luck with the move and a happy and healthy 2015. 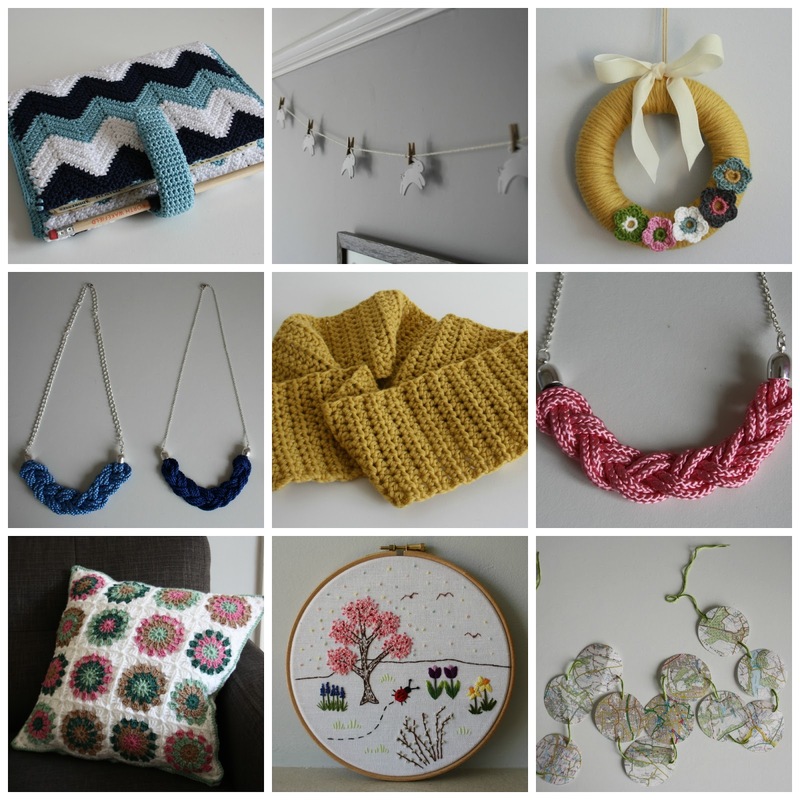 Gosh you have made so many pretty things - I love all of it. Your crochet is devine and your embroidery is just gorgeous. You are such a creative spirit! So many lovely things. I can't wait to see what you create to decorate your new home! Happy 2015, Gillian! As I always say ... I'm a big fan . Love your 2014 makings my dear friend. Happy 2015 to you. I'm looking forward to "seeing" your new projects. You have made such beautiful things in the past year. Looking forward to seeing what you create in 2015. Happy New Year. Just to add my good wishes to you and your family for a Happy New Year, 2015. Hi! I just found your blog through a mutual follower and I love your collages. If they are a preview to your wonderful work, then I know that I want to be a follower. Your posts are so inspirational, then make me want to run to my little studio. Please come visit my blog and join the fun. You were not only diligent, but very creative, too! Many of the things you made I wouldn't mind having - but I lack both patience and ambition to make anything like it. To be honest, I can't even remember when I last crocheted or crafted in some other way... Oh yes, I made Christmas stars and snowflakes out of silver and gold foil (not real silver and gold, of course) maybe 6 or 7 years ago. 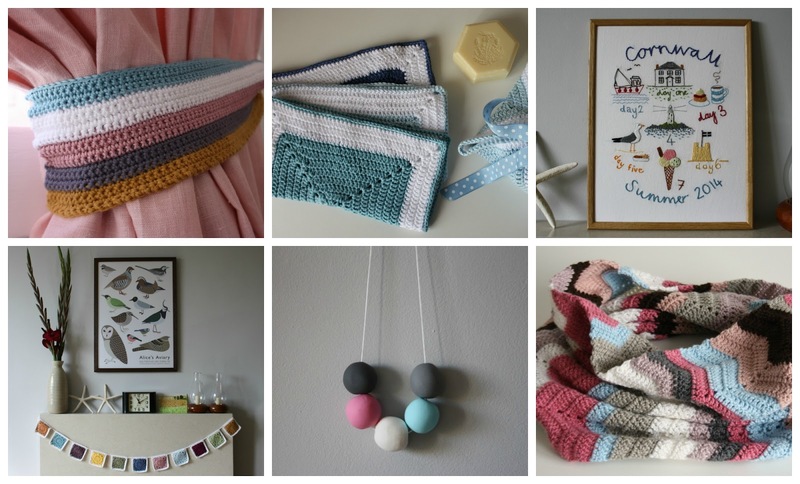 Anyway, I enjoy looking at the beautiful things you come up with - you must be a very popular gift-giver among your friends and family, as nothing beats a hand-made, personal, individual gift! You've been so productive!! And in a variety of crafts as well! Can't wait to see what 2015 brings..
You have had a busy, productive year Gillian, and what a variety. Looking forward to your makes of 2015! Happy New Year Gillian. You really have made some wonderful things this year. Will a new home in a different area inspire you to make lots more to show us? Hope so! Happy new year Gillian! I hope 2015 is a fantastic year for you and hope the move is going well. 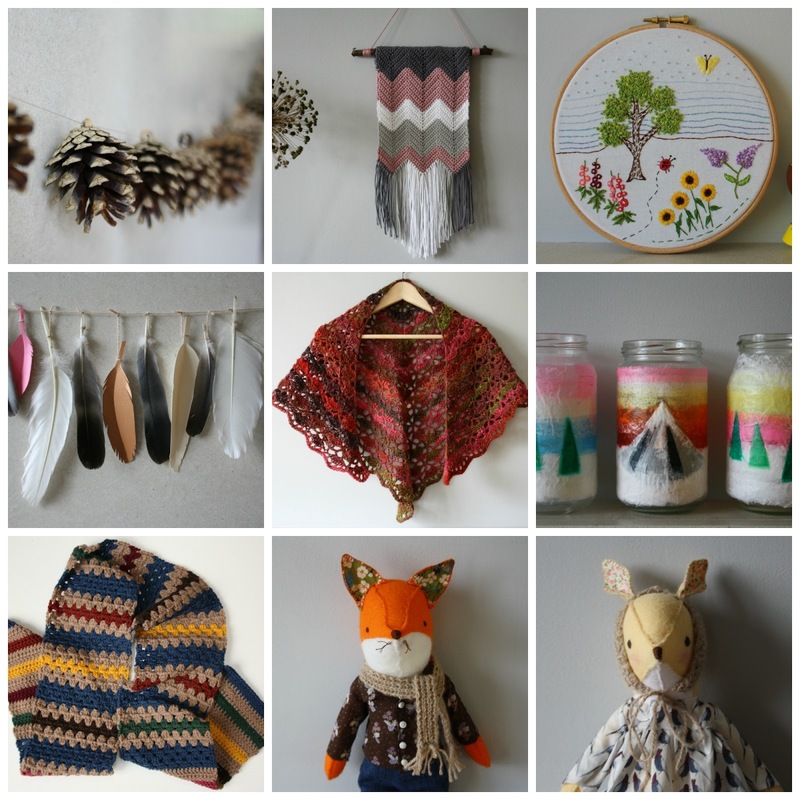 You made so many gorgeous things in 2014....think your seasonal embroideries are my favourites though. Your chestnuts in the last post reminded me of the first time I roasted some. I didn't know to score them and they blew up with alarming bangs in the oven! Hahaha! Happy New Year. You are so productive! And now you're off to a new place and who knows what new adventures. And how it will all inspire your creativity! I have been an equally m.i.a blogger ... but sometimes there's just too much to do to allow us the time to visit our virtual friends, or even return their emails (my inbox is overflowing, oops) so I'm sure we all understand.